LifeWay research did a survey a couple of years back asking Southern Baptist pastors, “Do you believe that the Holy Spirit gives some people the gift of a special language to pray to God privately?” 50 percent of SBC pastors said “Yes” and 43 percent said “No” while the rest responded “Don’t know.” This survey by Southern Baptists and with Southern Baptists makes it easy to see that this is a real issue for leaders and churches. I believe the majority of conservative Southern Baptist pastors could bring much clarity and maturity to this issue, as they see the need for discernment instead of rejection. This is also true for many brothers in Christ I am around from various denominations, including Methodist, Wesleyan, Evangelical Free, Independent, and non-denominational churches. And this brings me to a couple of points I want to make. The Cessationists (those who believe the gifts have ceased) don’t teach discernment, they teach rejection. Discernment is needed to navigate through the real and counterfeit. But, if one believes all gifts are false, we don’t have to use discernment. All that is left is to teach rejection of all supernatural manifestations and carry the danger of setting aside a genuine move of God. The Continuationists (those who believe the gifts are still available) fail to teach discernment also. Many times they embrace everything supernatural and do not teach about the counterfeit and false manifestations carried out by the enemy in the midst of the churches. While one camp embraces everything (even the foolish, insane, absurd and demonic), the other side rejects everything. (even the real and genuine) Is there a third option? Yes! If we follow the explanations and restrictions the Apostle Paul laid out for the gifts (1Cor. 12-14), while recognizing that the Holy Spirit is here throughout the church age (Acts 2:17-21; Heb. 13:8), and that Satan counterfeits everything that is real from God (2Cor. 11:13-15), then we will see the need to embrace the biblical mandate of teaching and using discernment. (1Jn. 4:1; 1Thess. 5:21) Rejection of the gifts is not the biblical option–repentance for failure to use discernment is! Today, men either throw the baby out with the bathwater, say there is no baby in the bathwater, or keep the baby and drink the bathwater. We can do better! We can learn to use discernment as taught in the Scriptures, and keep the baby and insist on fresh bathwater. When we begin to reject the full ministry of the Holy Spirit in this age, we ask Him to abdicate His ministry, and that is a very dangerous position to take. When we fail to use discernment, we open the door for the counterfeits and deception of Satan. 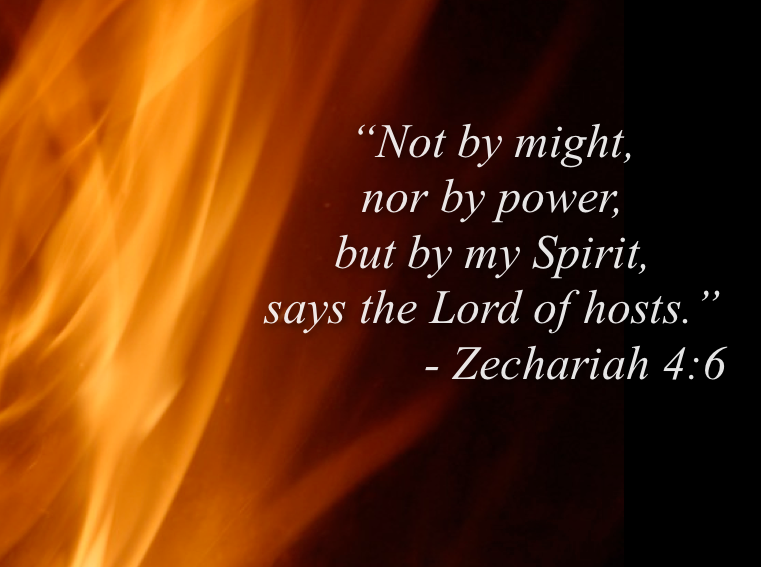 We can either have strange fire, no fire, or God’s fire! Why are there fake revivals in America among many Charismatic groups? Because discernment is not used and the ‘fire is strange.’ Why are there no revivals among non-Charismatic groups? Because they are rejecting the agency and person of the Godhead that brings revival and there is ‘no fire.’ What will be an important element for a genuine revival? To use discernment and expect the God of the Scriptures to pour out the Holy Spirit afresh through our faith and repentance, and have God’s fire. 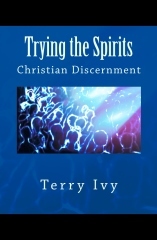 **For an in-depth teaching on the Christian’s responsibility to use discernment and the steps of how we are to do it, see my book, “Trying the Spirits.” It is available for Kindle and in paperback from Amazon.com. PTLJ,that the Holy Spirit brings the scriptures.To us as we need them.In different situations. So refreshing to read your post.